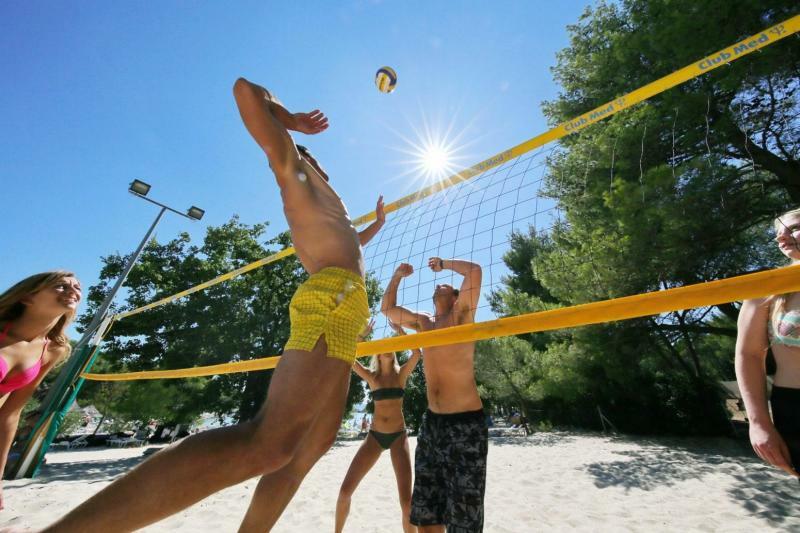 There is so much to do here for all ages; enjoy the state-of-the-art sports facilities or chill out on the beach! Venture out of the resort on one of the organised excursions to visit nearby National Parks. All Inclusive basis - buffet breakfast, lunch, dinner. 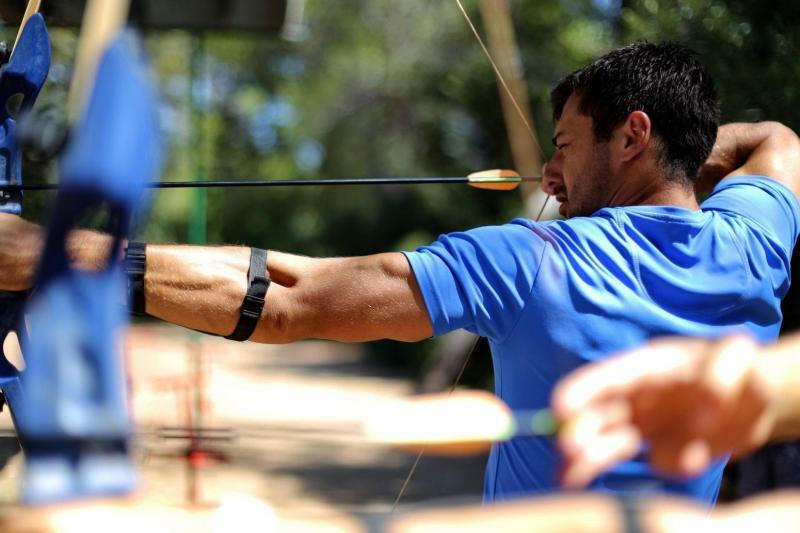 Sports activities such as sailing, windsurfing, kayaking, adventure park, tennis courts, mini golf, aerobics, archery, water polo, mini gym, water park and more! Safe deposit box at reception - approx. € 1 per day. **Special Offer** Book for 7 nights and only pay for 6: valid for those arriving on 1st June or 1st or 2nd September; staying a minimum of 7 nights and a maximum of 13; contact sales@activitybreaks.com to book this offer. As the huts at the eco-resort do not have electricity there are communal charging areas for electrical devices. It is recommended that you bring a torch, though the paths to the huts are lit. The mini-club is for children aged 4 years and over. •	Rent-a-bike: explore the surrounding area. •	Excursions: available to local National Parks or nearby towns. •	Tennis School: if you have never played tennis or if you simply want to improve your game, qualified instructor available. •	Sailing School: qualified sailing instructors can teach you to sail or refresh your skills. •	Massage: to be booked in resort. 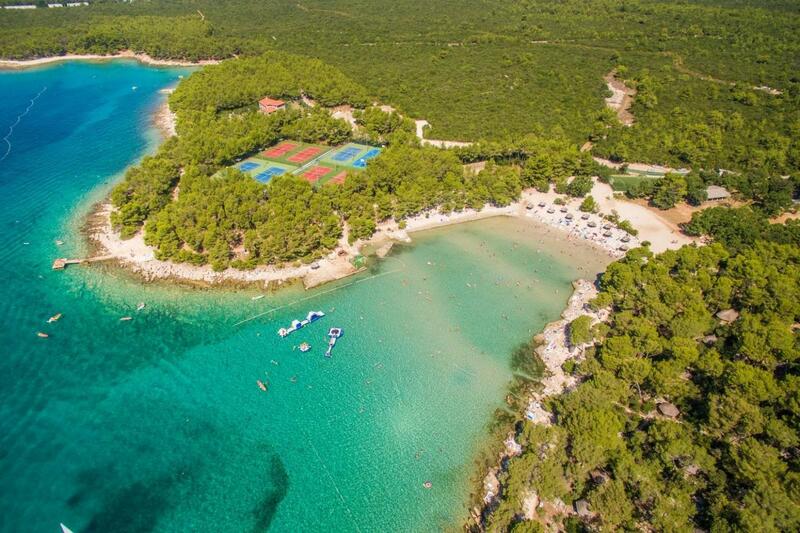 Pakostane is a small town located on the Croatian coast just south of Zadar, popular with tourists in the summer. 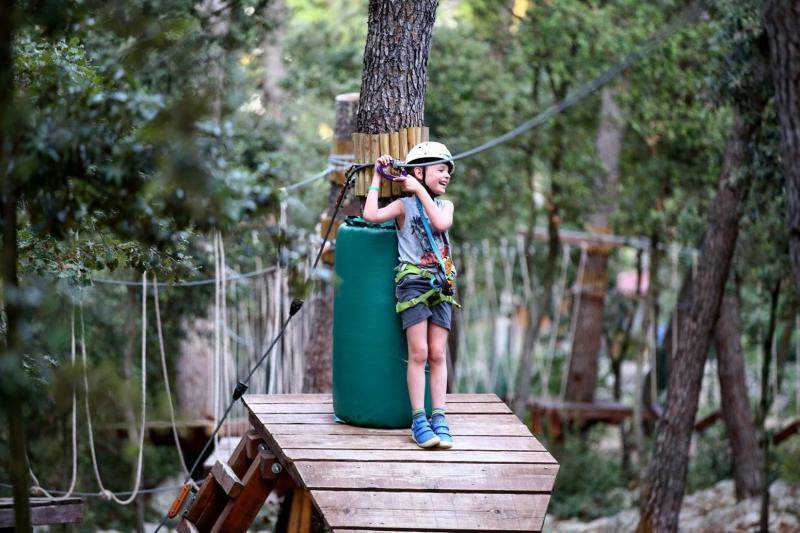 Surrounded by national parks, nature reserves and the Dalmatian coastline, there are plenty of places to visit during your stay, and many organised excursions on offer if you haven't hired a car. The Kornati archipelago and Krka National Park are both within easy distance of Pakostane if you want to explore the hiking trails of the latter, or the dramatic cliffs of the former. This idyllic resort offers simple accommodation in charming Polynesian style huts, a wide range of sports and activities for all ages and full board buffet service. 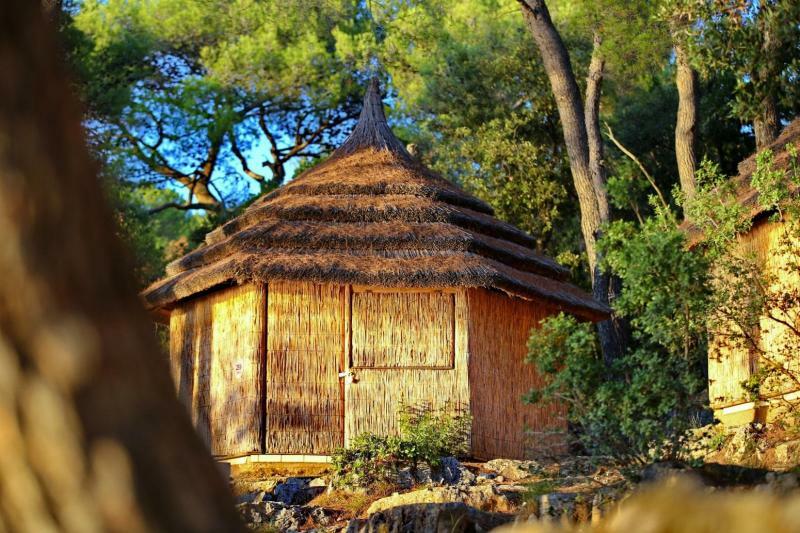 The airy reed-thatched bungalows enjoy the shade of the pine forest. Minimally furnished and without electricity or running water, they offer comfortable twin beds (that can be made into a double) and an open wardrobe for hanging clothes and storing luggage. Each bungalow is at a maximum distance of 200 m from the sea, or 30 m from the sanitary blocks. The paths to the accommodation are lit by small lights so you can find your way at night. 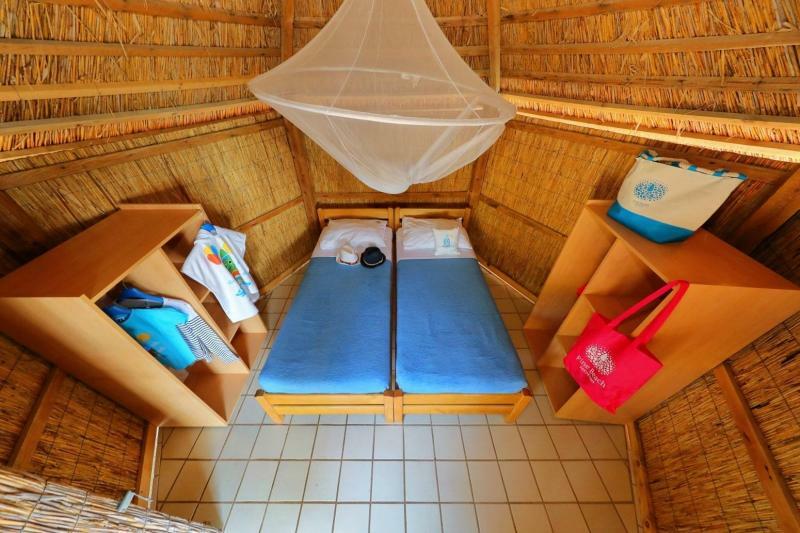 There is a small supplement for beach side huts, and bigger family huts are available on request. 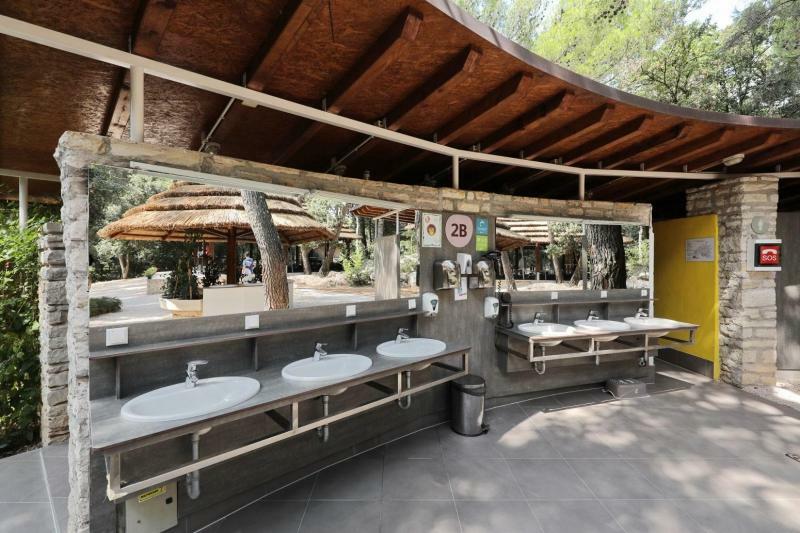 The resort provides 8 toilet & shower facilities (sanitary blocks) equipped with WCs, shower cabins and water basins with hot and cold running water, conveniently located within 30 meters of any hut. We recommend packing a torch. Electrical devices can be recharged at one of the communal charging stations around the resort, and there is a safety deposit box available to store your valuables at reception. WiFi access is available in public areas free of charge. There is a small shop selling souvenirs, snacks and basic toiletries. Free parking is available on site, no reservation needed. The buffet restaurant offers Mediterranean specialities using fresh, locally sourced ingredients like seafood, meat, vegetables, salad and fruit. Beer, wine and juice are included in the price. To get to Pine Beach Pakoštane by car from Zadar airport, take the A1 highway, exit at the Benkovac / Biograd / Pakoštane exit and head in the direction of Pakoštane / Vrana. From here it takes 15 minutes to get to the resort. 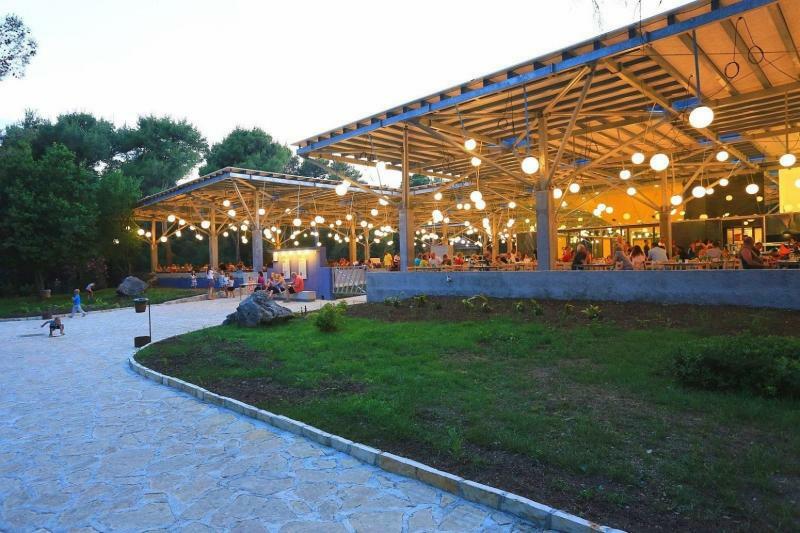 It is possible to take a bus from Zadar airport to the station, then from there take a bus to Pakostane, but the resort is around 15-20 mins walk from the bus stop, so you would need to arrange a taxi. 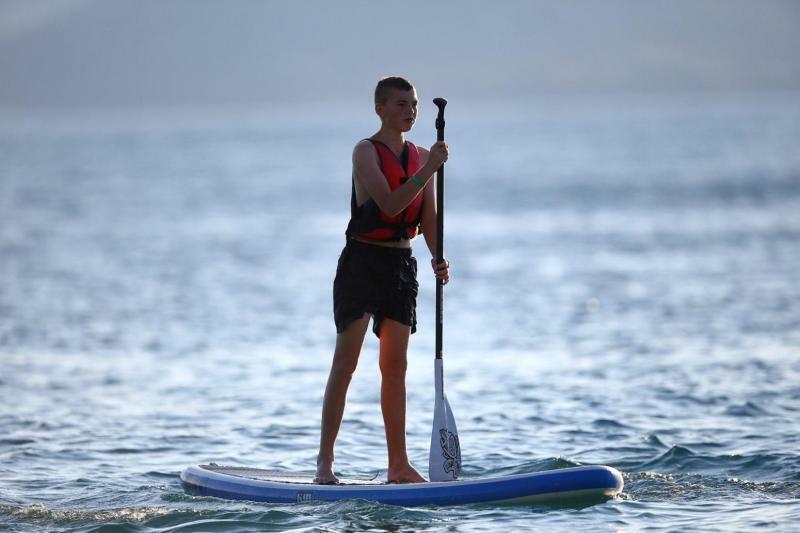 Enjoy a fantastic mini adventure break in the heart of Croatia - great fun for all ages!